Guys and gals sought friendship—as well as romance—as an a capella group sang. U of C singles wined and dined to the sweet serenades of the oldest a cappella group on campus last Friday, at a fundraising event organized by the unofficial university matchmakers, Unaccompanied Women. 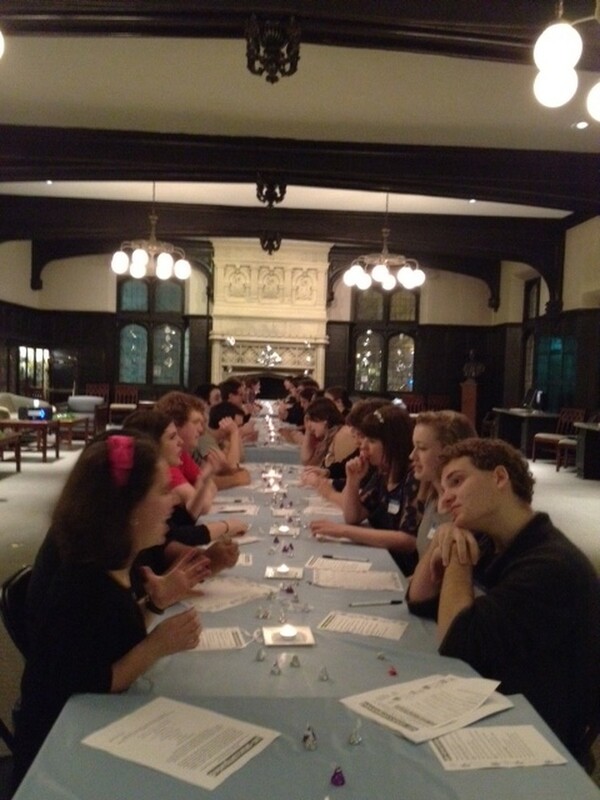 Salvaging students from another lonely evening at the Regenstein, the a cappella group hosted its very first non-heteronormative speed-dating event “Un-Unaccompanied” in Reynold’s Club to mark its 20th anniversary. “When it first started we were thinking about needs that the University didn’t really fulfill for undergrads, in that most people were having a difficult time finding people,” McCaffrey said. Forty undergraduate and graduate students partook in the three-minute dates, guided by a series of provided questions. After each dating round, students indicated whether their date was a “match” or a miss on a form and were emailed their respective matches’ contact information later that night. Although in its third year running, this was the first time the event sought to avoid the “traditional speed dating style [with] boys on one side, girls on the other side,” according to second-year co-president Heather Lyon. The speed-daters themselves seemed in favor of this unconventional approach, reporting that it helped relieve the anxiety commonly associated with dating. Proceeds from the event are being used by the a cappella group to produce a CD in celebration of their anniversary. The group, which originally only sang love songs, will be keeping with this same theme with their next musical telegrams fundraising initiative, “Singing Valentines,” which will be held later next month.